April showers bring May flowers. Well, in the mixed martial arts world, April also brings nonstop UFC action. Once the Octagon’s brief two-week hiatus comes to an end, the planet’s premier MMA promotion comes storming back with four straight weekends of fights – three of the events will be of the freebie variety. 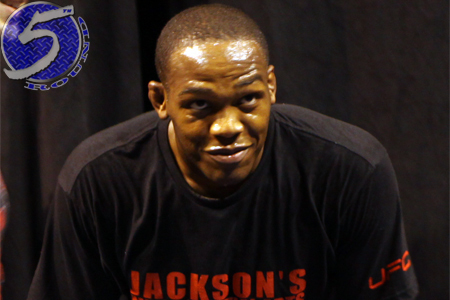 The torrid run comes to a conclusion at the end of the month with UFC 159 where light heavyweight king Jon Jones (pictured) puts his crown on the line against Chael Sonnen.